Brand Design for Travel Hub Launch Event. 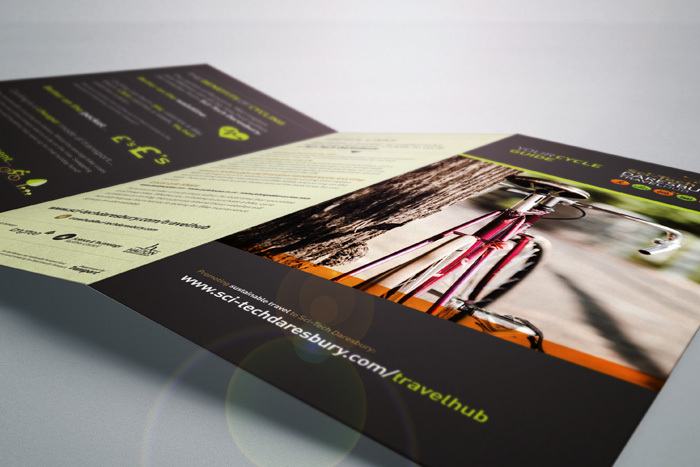 ‘Travel Hub’ is the brand that has been applied to the project at Sci-Tech Daresbury which is aimed at making the campus as accessible as possible. 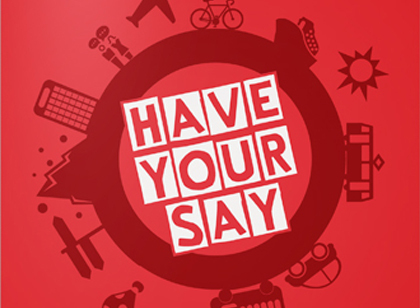 Through the project, the key will be reviewing the travel options available to the campus and putting in place a package of measures aimed at making the commute as easy, cheap, convenient and flexible as possible by all forms of transport. 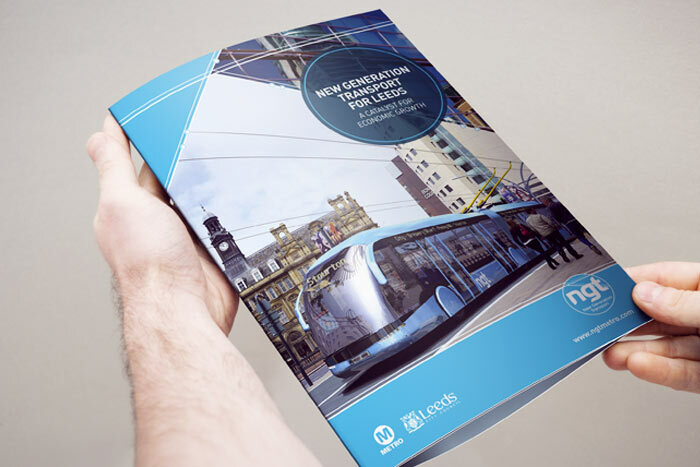 As part of the project, Travel Plan Services were requested to pull together a suite of materials to help promote the key travel options available for occupiers at the site. 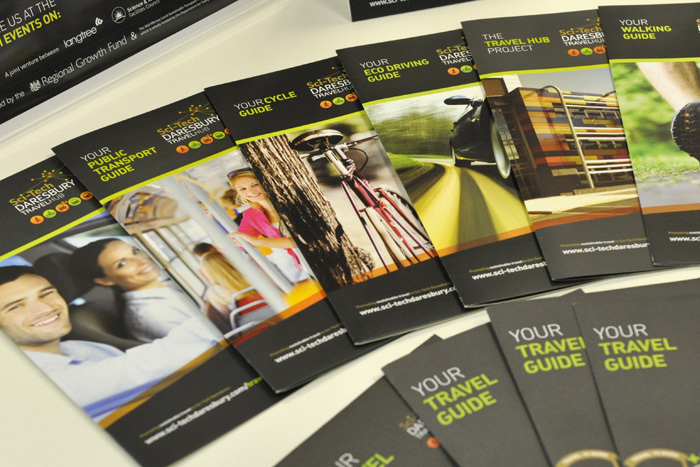 The materials produced by TPS Design consist of 6 DL information leaflets and an A5 fold out ‘travel guide’ which summarises each of the travel options available. 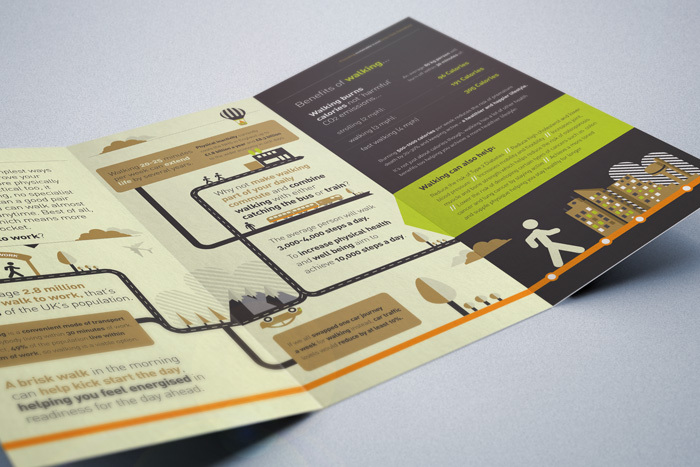 In order to engage with the occupiers of the site, a selection of individually designed posters, door hangers and tent cards have been strategically placed around key areas of the campus promoting the Travel Hub project. 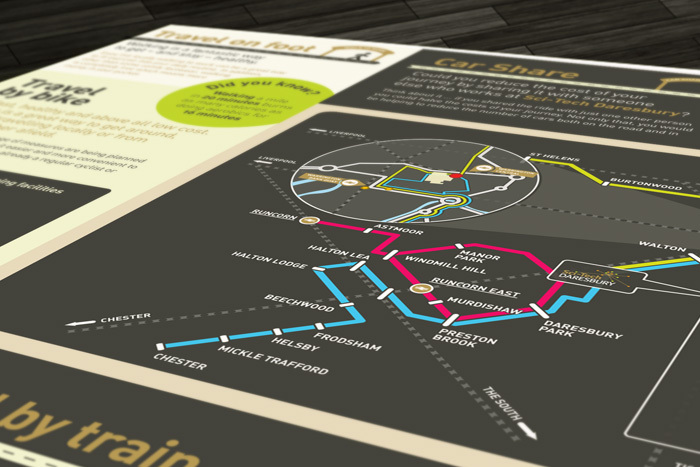 The key is to engage with as many occupiers as possible to encourage a more sustainable commute to work. As part of our ongoing support, TPS will act as Travel Plan Coordinator to help facilitate the projects role out along with the longer term monitoring and management of the project. 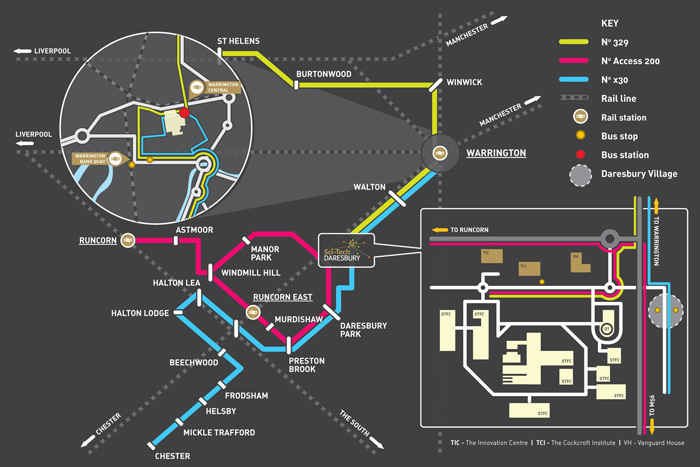 The project is joint venture between Langtree, Science & Technology Facilities Council and Halton Borough Council. 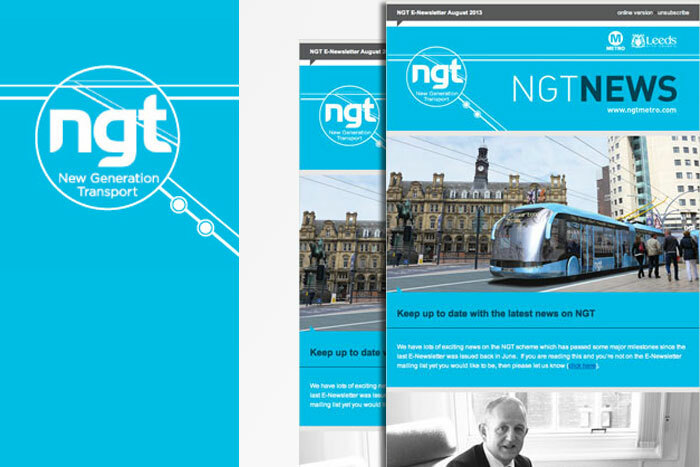 The project is also being funded through two main streams; government funding through the Regional Growth Fund and support being provided through the Mid-Mersey Local Sustainable Transport Fund. This is an exciting project to be involved in and we look forward to the delivery of the event with all partners.